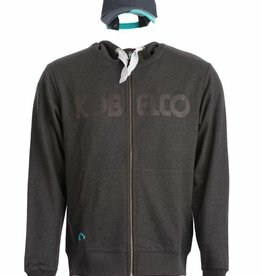 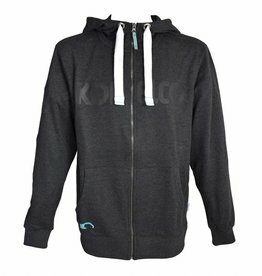 Softshell Jacket in grey with Kobelco logo embroidered on left chest. 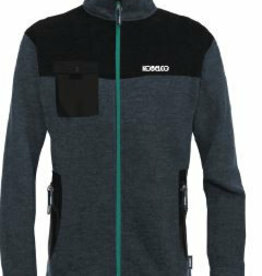 Two pockets on front and one inner pocket all with zippers. 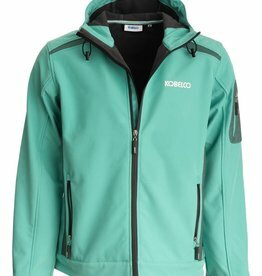 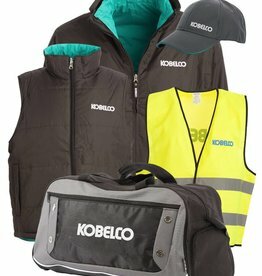 Kobelco 4-Way Jacket. 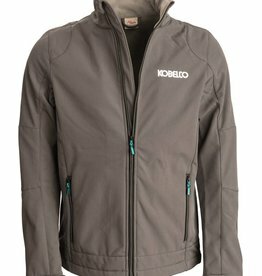 Reversible with a zip-out gillet that can be worn separately. 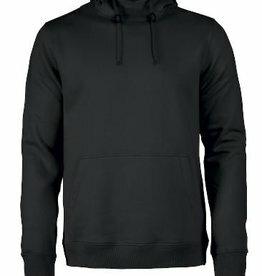 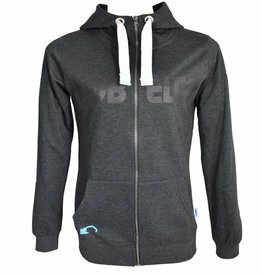 Sweat à capuche noir avec poche style kangourou et cordon de serrage réglable. 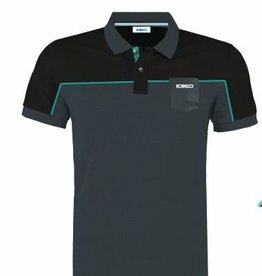 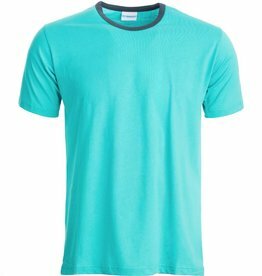 Men’s T-shirt in Kobelco blue/green with grey piping on the collar. 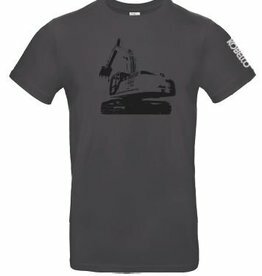 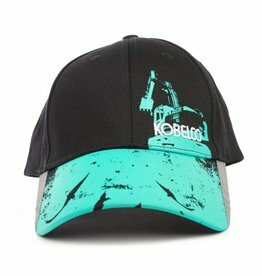 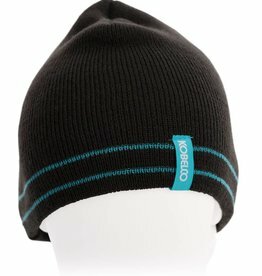 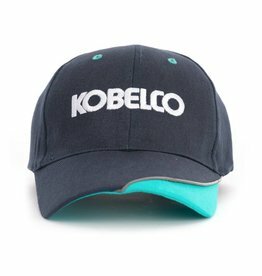 Kobelco logo printed on the left sleeve, 100% cotton. 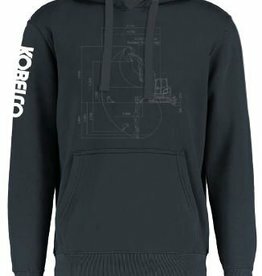 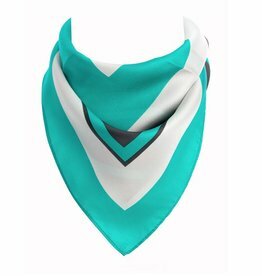 Washable at 30 degrees Celsius. 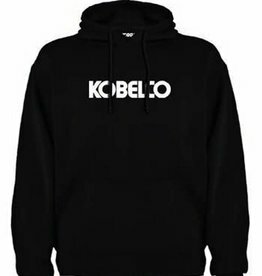 Sizes available: Small, Medium, Large, XLarge and XXLarge. 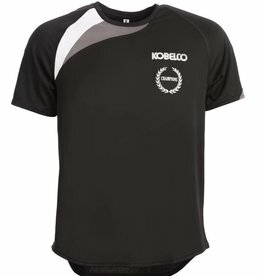 Black football shirt with grey Kobelco Champions print on front.